Champs International Skating Centre of BC is one of the premier figure skating training facilities in North America. Located in the heart of Greater Vancouver at Canlan Ice Sports - Burnaby 8 Rinks, Champs offers figure skaters the opportunity to train under a successfully proven formula within a world class environment under the direction of World & Olympic Coach, Joanne McLeod. The Champs formula is unique in the country as it encompasses team coaching, performance-based bio-mechanic principles, and sport science integrated within a schedule for sport and education. Champs International Skating Centre of BC is a multi-discipline training centre which includes competitive Elite singles and Ice Dance teams, grass roots children programs such as Learn To Skate, Happy Feet, and Jr Academy. Our Champs programs offers off-ice classes integrated with all on-ice sessions. Adult skating, synchronized skating and many open sessions are also available to guests. Champs provides skaters with all the right tools to develop their skills in a state-of-the-art facility. The heated NHL sized ice surface, measuring 200 x 85, encompasses an updated Bose sound system, dedicated coaches room, on-site administration office, all complimented by a beautiful oil acrylic painting (“Sumachuk” by Ken Kirkby) bringing the richness of an artistic aura to the training environment. Just steps away is the Performance Institute fitness facility where exercise physiologist Steve Ramsbottom provides quality strength and conditioning programs and personal training specifically designed for figure skating development. Spectators are also given an overhead view of the action through the heated and comfortable viewing area located at the south end of the rink. Champs welcomes athletes from Canada and around the World to come and train with us! Daily or weekly accommodation can be found just steps from us at the neighboring Fortius Sport & Health facility or a short drive away at Simon Fraser University in Burnaby. The Burnaby 8-Rinks facility is easily accessible via local bus and skytrain routes connecting from Greater Vancouver and Burnaby schools. We accept skaters for summer training (in coordinance with current head coach). Joanne McLeod’s coaching accolades are among the best in the world. In Canada, she has made National Champions from Juvenile to Senior in both Women’s and Men's events. 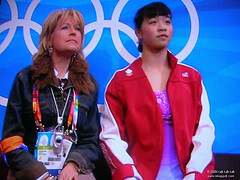 Internationally, she has coached ISU Champions and has been an 18-time World Team Coach. She was a member of the 2002, 2006, & 2014 Winter Olympic Team. Her experience is in her credits in that she has a constant ability to produce champions. 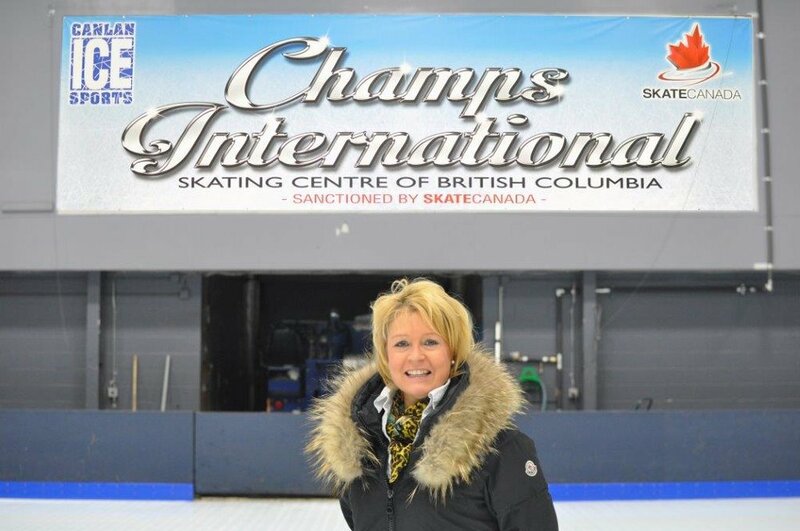 Joanne has placed a proven formula here at Champs International Skating Centre and overviews the day-to-day operation.